1. What is Leverage and What are the Advantages and Disadvantages of It? Leverage is simply the ability to trade more money than you actually have I.E you pay a margin deposit and then can trade a far higher amount and many FOREX brokers will give you up to 200:1 in terms of leverage on the money in your trading and some are giving up to 500:1! In pure simple terms the bigger the leverage the bigger the risk and using to much, is one of the major reasons traders lose. Just a small on a heavily leveraged position can wipe a trader out and also, the spread is on the leveraged amount which means the trader has a big loss as soon as he enters the market. 2. What are the Risks of Currency Trading? The risks of currency trading are you can lose all your money and more and will be clearly spelt out on any documentation you sign with a broker. In any speculative investment where there are big profits to made risk is present and as soon as you start to trade any currency pair - you risk losing money on the trade. Of course while there is an inherent risk in Currency trading by its very nature, you can reduce the risks of trading albeit they can never be eliminated. If you have the right skills and the correct mindset you can make money but a world of warning – if you don't get an education or follow others, you will destined to lose all your trading account. 3. Is Currency Trading for Everyone? No its not - but due to the huge gains to be made from currency trading by brokers or vendors the industry has been promoted in a way which makes many experienced FOREX traders like myself feel embarrassed. Brokers and vendors of currency trading courses, robots and signal services, know there is huge commission to be made from naïve and greedy people and both FX brokers and sellers of trading advice, are guilty of luring people into the market and helping them lose. Brokers offer minimum account sizes which are to small and give the trader little or no chance of winning. IN addition, they also offer leverage which is far to high and know, the novice currency trader will use more leverage than he or she should and blow up their account. There are also a huge amount of products sold online which present the message of making easy money with no work required! Vendors of FOREX robots or Expert Advisor's, as their amusingly called present an opportunity of getting rich quick and sadly, inexperienced traders buy them and quickly lose their account. To decide if currency trading is for you, don't listen to brokers or vendors do some research and you will see why so many traders lose but why the world of foreign exchange trading, can make you so much money, if you have the right education and training. 4. If 90% plus of all FOREX Traders Lose What Are My Chances of Making Money? This depends on you – the basics of FOREX trading can be learned by anyone but as you will read on this while it only takes a simple currency trading system to win – this is not enough to make money, you need to have mental discipline and control. We don't have to time to cover the importance of mental control here but you can read more about its importance elsewhere on this site and decide your chances of making money trading currencies. Anyone has the potential to profit but very few people do but my final words on this would be if you want to win you can. 5. How Much Money Do I Need to Start Trading FOREX? Today you can open a trading account with as little as $50.00 with many brokers but this should be banned in my view. The amount is so small, it reduces trading foreign exchange to gambling. Anyone serious about trading currencies, should be depositing at least $2,000 and preferably $5,000 which will allow a spread of trades, give the potential to make enough money to make the effort worthwhile and finally, to help cushion a period of losing trading signals. 6. How Much A Money Can I make Trading? The amount of money you can make, will vary from trader to trader and there is no such thing as an average amount you can expect to make, it's all down to how the individual trades. One point to keep firmly in mind is the vendors or gurus who tell you, you can make 50 – 100% with your currency trading strategy monthly or over 1,000% per annum, with very low risk - are lying. To answer the question, from my own personal experience (and I have taught in excess of 10,000) the best have made between 50 - 200% per annum consistently over a 3 year period of trading. Some traders make a lot of money quickly in short periods of time but over the long term, if you made 50% per annum with compound growth working on your side, on a reasonable account size, this amount will compound up very quickly. 7. How Much Time do I Need to Spend Trading Currencies? This will vary from trader to trader but in my view, if you are trading longer term trends you can easily, spend less than an hour on your trading and if you are a swing trader, you would probably be spending a few hours trading per day, as you trading shorter term moves. My own view is you shouldn't, spend to much time looking at price quotes and quotes screens because you will be to close to the price action. If you spend less time trading, you will be mentally sharper and see high odds set ups easier but this is of course is just my personal view. 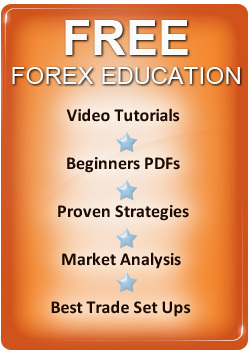 You should learn more about the How Currencies are Traded and then, find out How to Trade FX Like a Pro trader does. You need to know the basics of currency trading before you start to trade but this isn't enough to make profits, you need to learn a currency trading methodology which you are confident in and can apply for profit. You will find all the information you need on this site, the rest is then up to you.